Developed by Penrod, a long-respected name in the industry, XO offers you special hybrid PVC solutions that will keep your customers coming back for more. Why? XO products are tough; they don’t chip like others due to the special way they’re made, they cut more smoothly and the sealed-edge boards stay cleaner, they’re more dent resistant, and can be milled and machined. 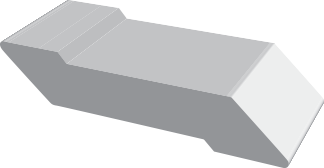 Our architectural-grade mouldings are a top choice for rot-free wood replacement. We offer popular patterns—from classic to modern— with countless customization options. 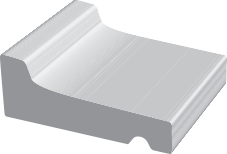 Our trim edges are precision sharp, never rounded or dull, and available in both standard sawn or with sealed edges. 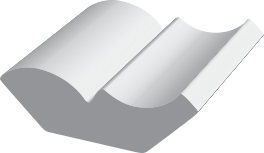 XO Smooth offers you double-sided, satin-smooth boards and is available in sheets. XO Wood Grain captures the look of true wood grain on one side and the XO Smooth finish on the other side, and is available in both boards and sheets. You choose the distinct look you want. 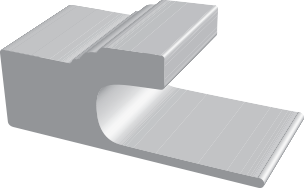 XO Sealed Edge protects trim edges from the most extreme and dirtiest elements, keeping your installations looking clean and pristine. This is currently available in select markets. Contact your retailer or distributor for details. 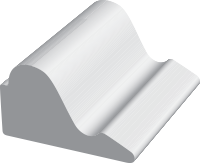 The following is a list of our PVC products in their most popular sizes. For a complete list of sizes and profiles, please contact your retailer or distributor. Variety of stocking lengths readily available. 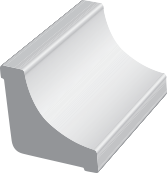 Crown, Rakes, Casings, Drip Edges, Mulls, Jambs and a variety of door, window and decorative patterns are available. 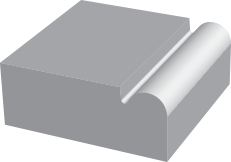 The mouldings shown are our most commonly stocked profiles. Contact your retailer or distributor for a list of specialty items. 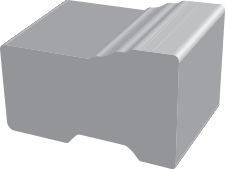 Save time with rabbeted products for lip-over siding and fiber cement siding applications. With the superior XO Pocket line, there’s no fussing over finishing your cut edges—XO is ready for a clean installation. XO Pocket Flanged Bead Boards and Center Boards have a wider-then-average flange, making hanging and nailing easier. You also cover more square footage with less product. A variety of specialty sized, cut and inventoried products are available, with the capacity to produce custom sizes and support OEM manufacturing. Please contact your retailer or distributor for more information. 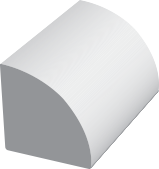 The following documentation is available as a PDF download. Please contact your retailer or distributor if you have any questions or need additional information. What makes XO easier? Tougher? Just plain better? XO’s unique hybrid production process gives it fewer surface imperfections and makes it easier to handle. XO offers long-lasting beauty and does not require painting. XO is virtually maintenance free. And because it does not require continual care and regular maintenance, builders and architects will have fewer call-backs. XO delivers outstanding customer service with immediate decision-making, and lightning-fast delivery time. XO is backed by a century of quality. XO PVC building solutions are backed by The Penrod Company, well known within the industry as a major provider of the largest and finest selection of forest and metal products available. Penrod offers customers quality products, the greatest access to variety, and the assurance of prompt response and timely delivery from the company dedicated to quality for more than 125 years. XO also offers you outstanding customer service with dependable decision-making, and lightening-fast delivery time.